Emirates Airline has just had a year to forget. The Dubai airline said its profit slumped 82% in the year ending March 31, hit by weaker demand for travel and "destabilizing events" including President Trump's policies. In a measure of just how bad things were, Emirates canceled its dividend payment for the first time since 1995-96. Last year it handed over $681 million to the government of Dubai after making a record profit of $1.9 billion. Emirates Chairman Sheikh Ahmed bin Saeed Al Maktoum said 2016-17 was "one of the most challenging years to date." New U.S. policies on air travel, the Brexit vote, terror attacks in Europe, and a sluggish oil and gas industry had all affected demand for flights during the year, Al Maktoum said. He predicted another tough year to come. "We remain optimistic for the future of our industry, although we expect the year ahead to remain challenging with hyper competition squeezing airline yields, and volatility in many markets impacting travel flows and demand." Last month, Emirates said it was cutting back on flights to the U.S. after taking a direct hit from Trump's policies. Trump signed a revised executive order in March banning citizens of six Muslim-majority countries from entry. It was struck down by the courts, and is being looked at by a federal appeals court. Following the travel ban, the U.S. slapped nine airlines flying from 10 airports in the Middle East and North Africa -- including Emirates -- with an order prohibiting larger electronic devices in the cabin of aircraft. 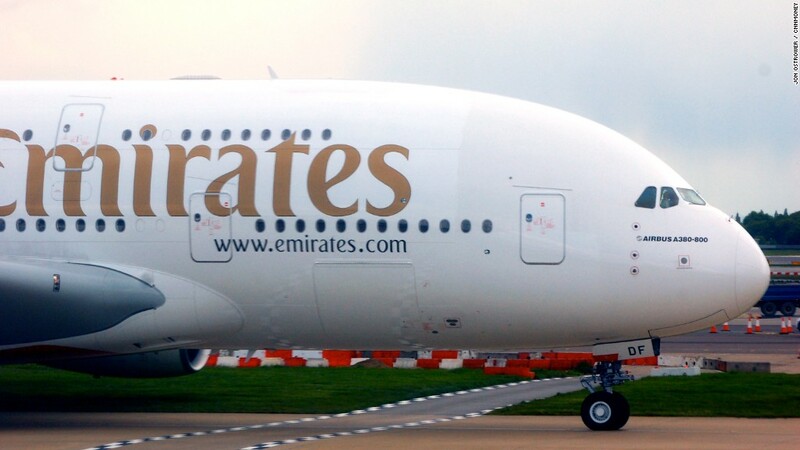 Emirates said its seat factor, which measures how many seats are filled on each flight, dropped to 75.1% from 76.5%. It blamed "economic uncertainty and strong competition in many markets." The airline carried a record 56.1 million passengers last year. -- Correction: An earlier version of this article incorrectly reported Emirates' profit figure for 2015-16.